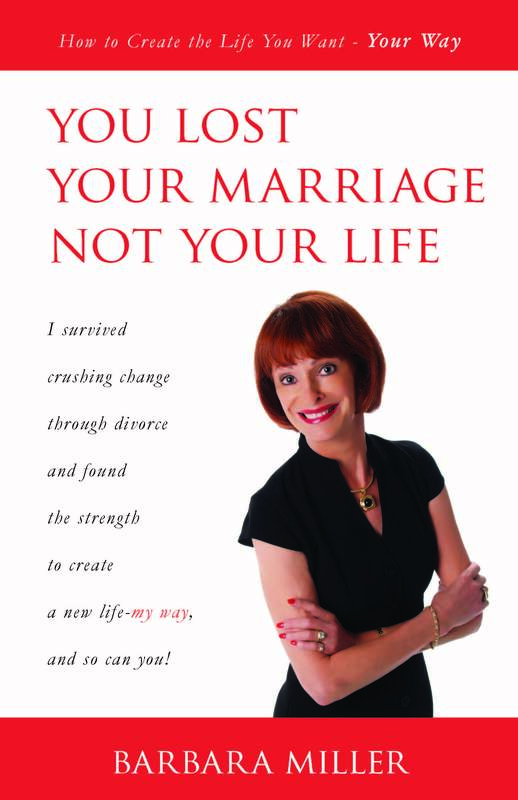 The book presents Barbara’s special message to women like herself, who have experienced the shock of losing their marriages and lifestyles through divorce. Her goal with the book is to help other recently divorced women accomplish their goals, take control of their lives and gain a new senses of power, in order to enter their best life yet. We caught up with her recently to ask her our favorite 20 questions. 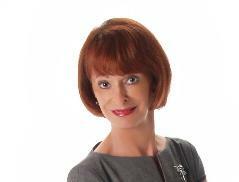 I am a writer, speaker, independent Medical Esthetician, and president of Barbara & Company International, Inc. I reside in Naples, Florida with my wonderful husband David. After surviving a heart-breaking divorce, I was blessed a few years later by meeting my wonderful husband David. I have one daughter who has two beautiful boys ages 5 and 7. David has one daughter and two sons and has 4 gorgeous granddaughters ranging from ages 4 to 18 years. One of my favorite childhood memories growing up in the 50s and early 60s was Christmas at my Grandma and Grandpa Walker’s house. The entire family always came, cousins, aunts, and uncles. Everyone magically arrived in plenty of time for Christmas dinner at 2:00 pm. Wonderful aromas permeated the house, from the turkey and dressing, mashed potatoes and gravy, not to mention pumpkin, apple and cherry pies. Occasionally my Uncle Bud would get a Christmas leave from the army and everyone would scream with joy as he walked through the front door. The Christmas tree was spectacular from the silver icicles to the old bubble lights and packages spilling out from underneath. I knew one of those packages held my doll and I could hardly wait to get my hands on it. Grandma always gave my sister and me a beautiful doll. I shall forever hold those wonderful memories of family in my heart. I believe I have courage and fortitude and I think this is true of most boomer women. We lived through the Cold War and threats of nuclear war with Russia. I am a first born baby boomer and television was unheard of back then. I remember sitting around as a young girl listening to the radio. We learned how to entertain ourselves long before the Internet, but that did not stop us from learning and embracing the new technologies. 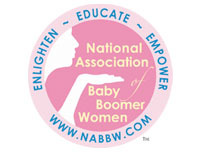 Baby boomer women are industrious entrepreneurs and are not afraid to start their own businesses. We are multi-talented and multi-task oriented. 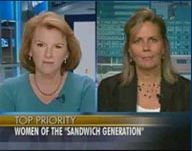 Boomer women can run a household, care for their children, and manage a business. I think we are all pretty terrific! I love self-help books and I read a book a week. I also love long walks to the beach. I gain my greatest insights while sitting at the beach watching the waves hitting the shore. I am a Pisces and water is so inspiring to me. I do my best writing at the beach. It is like a spiritual experience and I feel lifted to a higher plane. My grandsons give me such pleasure! Jacob is my first born grandson. He is beautiful with blond hair and blue eyes. He is very tall and loves art and baseball. His younger brother Austin is our little fearless man. He has dark brown hair and blue eyes and loves snakes and lizards. They call me Grandma Barbie. Health has always been interesting to me from the time I was in my late 20s. I walk 3 miles every other day and do a half hour of weight training 3 times a week. I love to research the latest news on health and nutrition. I am also a news buff, especially the world news. I think it is important to know what is going on in our world. David and I are boaters and love to be on the water. Our boat is named Mon Ami. Do you have a favorite book or movie? If so, tell us why it’s your favorite. I love by Napoleon Hill. I have read it 6 times and listened to the tapes at least a dozen times. Even though the book is now over 50 years old, I still find insights that I can apply to my life today. While we were on our boat this past Labor Day weekend, I read the whole book through again. I have changed my new favorite movie from Gone With the Wind to Avatar. Avatar was like a spiritual experience for me. I loved it and I will definitely see it again and again. I love to travel and David is my favorite travel partner. Since David and I have only been married for 5 years, we have both traveled to many places but not together. My favorite place was China and David wants to see it too, so it is in our future plans to go together. Two years ago we cruised the eastern Mediterranean and it was glorious! Next summer we will cruise the British Isles and Norway. I definitely practice preventive medicine. I stress in my book that nobody is going to take care of you but you! It is up to us to decide what we eat and how much exercise we are willing to do on a regular basis. I want to be the best I can for the age I am and not be hampered by ill health. I read nearly every health article I can get my hands on. I hate to take any prescription drugs. I realize that many have issues and their life has improved because of prescription drugs, but the fewer the better. I take daily vitamins and nutrients as it is impossible to get the nutrition we need totally from our food. I believe vitamins C and D are the most crucial to take daily. I stress about our health care system. I will be turning 65 in February of next year, and I think it is a sad story that we get excited about Medicare because we are then entitled to decent health care. I also stress about chemicals in our food and atmosphere and the impact this will have on our children and grand children. I think it is very important to look as good as I can for the age that I am. Since I have worked in the beauty business as a Medical Esthetician for many years, it has been important for me to be educated as to the latest trends. I work with plastic surgeons and do the more superficial facial treatments, like microdermabrasion, chemical peels, vascutouch, which is treating spider veins in the face, and permanent makeup. My treatments are good for maintenance but if you want to take off ten years, then a facelift is a good option. Yes, I had a facelift and if I live long enough, I will have another one. I don’t do anything drastic like cheek or lip implants as it can drastically change your look. I also think Botox and fillers are an option and more affordably than a facelift. However, nothing can take the place of good daily skin care. Have you reinvented yourself, and if so, how? Yes, I have re-invented myself. After my divorce I closed my day spa and decided to move to Naples, Florida from Grand Rapids, Michigan. It was a difficult decision as I had lived in the same home for 27 years. My daughter Alison had just gotten married and we are very close and leaving her was extremely difficult. Once I settled in Naples, I got a job working for a plastic surgeon, but I was not totally happy working for someone else. I finally decided to launch out on my own and I found a plastic surgeon who let me rent space in his office and work totally independently. This worked out much better, especially after I met David and he was retired and wanted to travel. I still had a nagging desire to write a book and I now had more time to myself as I could set my own hours. It took me 5 years to write my first book, but I did it and it was a challenge. I had a burning desire to create a vehicle to allow me to help other women who had suffered divorce. 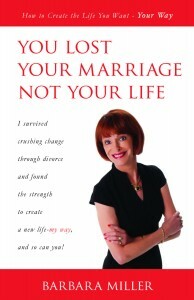 I wanted to share my own story and conduct seminars to encourage women that their life isn’t over because of divorce. I will retire from my Medical Esthetician work in February, 2011, but I fully intend to keep writing and speaking. I just completed my Positive Thoughts Journal to compliment my book, You Lost Your Marriage Not Your Life, and I have written several chapters in my next book as a sequel to my first book. Yes, we recycle everything possible. We have been surprised to see that the recycle bin fills up several times faster than our trash bin. I have allergies to chemicals and we buy green cleaning supplies. I do not use aerosol sprays anymore. We are trying to buy organic foods as much as possible. We are blessed to have a Whole Foods close by. David does all the cooking and marketing and buys all fresh produce everyday and cooks everything from scratch. Wow, did I luck out or what! The major turning point in my life was without a doubt my divorce and my move to Florida. However, had everything remained the same, I would have never met David, who is my true and perfect love. He is definitely the male side of me. I also would never have written my book had my life not changed so drastically. David and I have a lot of fun. We love to eat out with friends and we both love to dance, laugh and enjoy fine wine. We frequently walk together and enjoy nature. Yes, I want to write, speak and conduct self-help seminars for women. I network online constantly to promote my book. I believe social networking is vital to authors to gain more exposure. I maintain my website and blog, and I work part time. I think it is important to be supportive to other women who have experienced divorce. Through my work women often share their pain with me. I always try to encourage them that it will get better and it is okay to grieve your loss. I am an active member of The Naples Shelter for Abused Women and Children. It is a wonderful organization and a well run facility for the sole purpose of helping abused women and children. I grew up in a house of violence so the shelter is very important to me as a woman. Number one would be my daughter Alison. Alison’s father died when she was a teenager. We are very close and I call her my Twin Flame. She has always supported me in everything I have attempted to do in my life. We have always shared a freedom with each other in being completely honest. When I need a straight answer I know Alison will always tell me the truth. I am amazed at her insights and wisdom and yes even a little annoyed when she parrots back my words of wisdom! Funny how that happens! The other person who influences my life is my husband David. David has helped calm me down. His gentle nature has had a calming influence on me and he encourages me to do what I really want to do. He supported me in writing my book even though it was about a chapter in my life before I met him. He read the entire book and even encouraged me to take a whole portion out as it sounded bitter. I listened. He has truly enriched my creative self. Life is constantly bringing change and weaving us into the person we are yet to become. We cannot always control change, but we can control the choices we make in how we deal with change. Sometimes a forced change turns out to be the most wonderful thing that has ever happened to us!